The ACLU of Maryland works to protect the constitutional rights of our young people. We fight to ensure they are not subjected to discipline or punishment that is biased, unfair or inappropriate for their age, we defend their freedom of expression and association, we protect their freedom to learn about and grapple with controversial ideas, and we work to guarantee that every young person receives an excellent education. 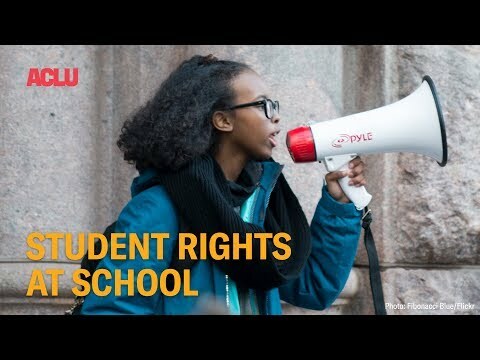 School WalkoutSchools can discipline students for participating in a peaceful walkout during school hours because the law requires students to attend school.